NotesMagazine Cooking for a Crowd? 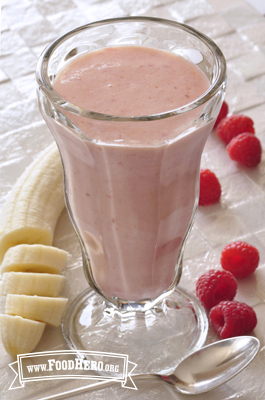 2 Comments for "Banana Berry Smoothie"
This recipe is so delicious! Perfect recipe for kids to help press buttons on the blender. Served this recipe to 600 high school youth at St Helens High School and they loved it! Many students suggested "swapping" another berry for blueberries. Great easy recipe!